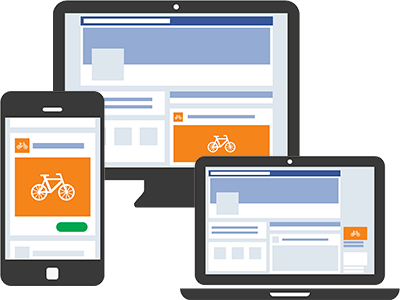 We’ll create your Google AdWords campaigns for you and manage the adverts on a daily basis. Whether you need month-to-month management, a new set of eyes on a campaign, or a complete rebuild for your internal team to manage, we can help. You’ve felt it. Your organic content doesn’t have the same reach on social media anymore. Facebook posts from brand pages saw a 60% decline in engagement just since January 2018. Ouch. You’ve certainly felt it. But that’s why so many organizations now rely on social media advertising (paid social) more than ever. It’s easily one of the biggest social media trends and you’ll do about anything to get your content in front of customers. Depending on your business, we’ll recommend the best practice social media advertising solutions. Facebook and Instagram advertising is incredibly popular but it might not work for your business. We’ll setup the adverts, design the graphics and manage the budget.